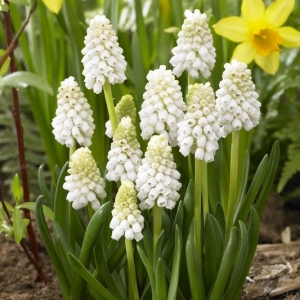 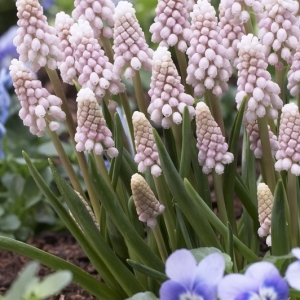 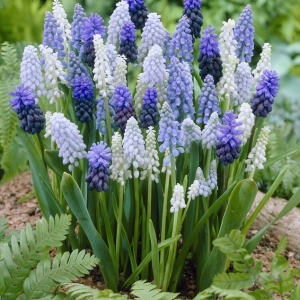 Muscari are spreading and very dependable naturalizers. 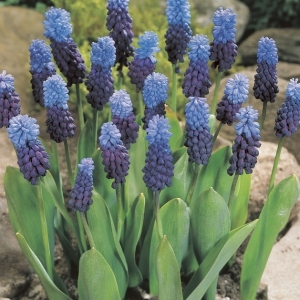 They prefer an organic and moist soil with at least some summer shade. 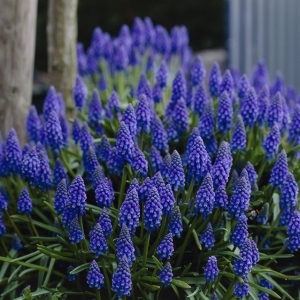 Perfect in naturalizing sites under deciduous trees or shrubs. 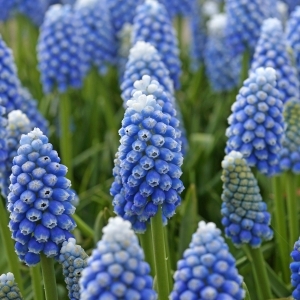 The blue Muscari armeniacum is the most commonly used variety for mass plantings but the others are gaining in popularity.